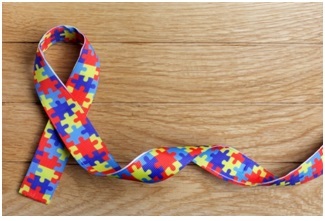 Let’s get this out of the way first: Autism is not a disease that needs a cure. Rather, autism is a different way of thinking and living life. While millions of autists are healthy, competent and happy in the world just like you and me, some people with autism need special assistance in learning, being social, completing everyday tasks and generally surviving with their diagnosis. Plenty of people devote their careers to helping this latter group — and you could be one of them. Here’s how. Your first step toward working in the autism field should always be to learn as much about autism as you can. However, you might become so fascinated by studies in this field that you devote your career to researching autism spectrum disorders (ASD), such as their causes, their symptoms and their management. As it is, autism isn’t well understood; we know that rates of ASD diagnoses are going up, but we don’t know exactly what causes it — in the genome or in the environment. There are some connections between the age of parents and the rate of autism diagnoses, seemingly indicating that older gametes could be a factor. However, air pollution, pesticides and other contaminants could also result in neurodevelopmental disorders like autism. To become a researcher in this field, you should likely plan to pursue a Ph.D. However, the field of your doctorate study will depend on what aspect of autism you are most interested in. For example, you could focus on the genetic aspect of ASD, the neurological aspect, the social aspect or the education aspect. By devoting your career to researching ASD, you could shed more light on the subject in dozens of ways. Many kids with autism function well in traditional classrooms, but some do need special education, especially when they are forming crucial socialization habits and behaviors. To become a special education teacher, you only need a bachelor’s degree in special education — but it would be wise to consider enrolling in autism certification programs after you graduate to gain a concentration in ASD and find positions that allow you to work with children on the spectrum. To function effectively in this role, you need to have skills like patience, compassion and creativity. You always put your students’ needs first and be capable of talking to parents (or other caregivers) about student behavior and capability. As is true with most autism-related occupations, you should be committed to pursuing continued education, as information about ASD is likely to change dramatically and swiftly as more research is completed. Neurotypical parents of children diagnosed with ASD are often confused, scared, frustrated and in desperate need of help. You can provide the assistance they need — and their children need — by becoming an applied behavior analyst. Applied behavior analysts are psychologists who specialize in recognizing the links between behavior and environment. Often, perceived misbehavior in children with ASD is triggered not by their so-called disease but rather from inappropriate responses of other people or inacceptable elements of their environment. By taking this role, you will help caregivers recognize how they can better address the needs of their child with ASD and develop an environment that facilitates safer, healthier behavior. The road to becoming an applied behavior analyst is relatively long. You should start by studying psychology in undergrad and gaining a master’s to become a licensed clinical psychologist. Then, you will need specialized training in both ASD and applied behavior analysis or advanced study as high as the doctoral level. Doing this will equip you with the right skills and knowledge to help parents and children with autism thrive. The last and perhaps easiest way you can positively impact the world for people with ASD is to eradicate the stigma and improve their chances of flourishing in the real world. Whether you own your own business or function in a management capacity for someone else’s, you shouldn’t avoid hiring autists or people on the spectrum merely because of their diagnosis. Rather, you should recognize that people with autism have their own unique set of strengths — just like any neurotypical hire — that you can use to improve productivity and benefit. Autism is not a disease, but too many people treat it like one. If you want to help those with ASD find success throughout their lives, you can by devoting yourself to one of the above careers in the field. Then, in the future, ASD might not be so strange and scary a diagnosis.